The modern-day GOP is almost as confused and in need of effective focus as the Washington Post. And so I have a suggestion for one person that the Republican Party should hire, yesterday, if they wanted to rebuild and refocus their brand. 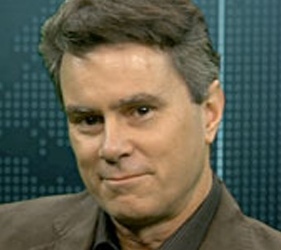 If they desired (and I don’t believe they do, unfortunately) to clarify the “how” and the “what” of Conservatism to the broadest spectrum of people, the person presently doing it better than all the rest is Bill Whittle. He’s THE clearest Conservative thinker in the country today, bar none. Below is his speech from the recent Western Conservative Summit. The first 12 minutes are quite good, but from there he really picks up steam. If you’re pressed for time, start at the twelve-minute mark. ***NOTE: If you want to view previous efforts from Mr. Whittle, JUST GO HERE. This entry was posted in Bill Whittle, conservative, politics and tagged Bill Whittle, GOP, Hugh Hewitt, western conservative summit. Bookmark the permalink. ok, JTR, that one was just one of the best. Sure wish I could have been at conservative persuasion boot camp! I find it hard to be as glib or quick as Mr. Whittle. But I’ll keep trying! Im a big fan. Still have ragged dogeared printouts from his blog eject(x3) from years ago. Yep, that was my first exposure to him, as well. Did you know that he re-activated “E3” last year? Nothing new there, but it WILL allow you to print new copies!! Mr. Quixote and I LOVE Bill. Thanks for posting this JTR. We enjoyed it. Everything this guy says is so bang on accurate. He’s excellent, and I think he speaks to (and for) a majority of the country. The more folks who hear him, the better. Thanks for the re-blog, DQ!!! Thanks for the re-blog, tannngl! Thanks again for the re-blog, Mr. G! Ahh yes….the sale of the Washington Post…from a value in the billions to a sale for $250 million, which is like so many nickels and dimes in Bezos’ pants pocket.